Ruby Catherine Stevens, born in 1907 in Brooklyn, New York, grew up fast – and tough. There was one bright spot in an otherwise dreary life - her older sister Mildred was a dancer and, during the summer months, Mildred took Ruby on the road with her. Ruby loved to dance and began learning steps, determined to be a dancer herself. While still in her early teens she got a job as a chorus girl at the Strand Theater on New York’s Times Square, moved on to the “Keep Kool” Revue and before long was in the Ziegfeld chorus. Ruby’s big break came in 1926 when a friend introduced her to Willard Mack who was casting “The Noose,” a play headed for Broadway. Mack was impressed with her but felt that she needed a name that implied class and distinction. He found the right name on a playbill: “Barbara Frietchie” with Joan Stanwyck. Barbara Stanwyck made her first film in 1927 with Broadway Nights. And though she became one of the legends of Hollywood, film success did not come overnight. It wasn’t until the early ‘30s, when she moved west with then-husband Frank Fay that she began to make her mark. Frank Capra saw a screen test and cast her in Ladies of Leisure (1930). 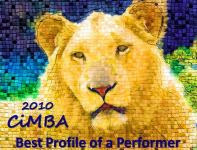 A contract with Columbia Pictures followed and her career began to take off. It was during this period that some of her early classics were made and her image as a determined working girl evolved: Night Nurse (1931), Baby Face (1933) and Ladies They Talk About, (1933). Stanwyck’s personal life remained rocky. Her romance with Broadway actor Rex Cherryman had been cut short when he died suddenly in 1928 at age 30. Her marriage to Fay collapsed in the mid-‘30s as her star rose and his fell. The pair had adopted a baby boy, but Stanwyck and the child developed a strained and then estranged relationship that never healed. She began living with Hollywood heartthrob Robert Taylor in the late ‘30s and her studio, wary of potential scandal, insisted that they marry in 1939. 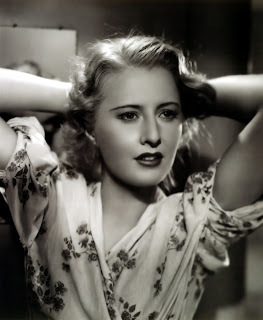 In 1937 Stanwyck starred in Stella Dallas, a memorable melodrama for which she was nominated for a Best Actress Oscar. In 1938 she starred in Golden Boy with young William Holden, who years later declared he owed his career to her. Stanwyck proved that she was a capable comedienne with two hit 1941 comedies, Preston Sturges’s The Lady Eve and Howard Hawks’s Ball of Fire. That same year she co-starred in the Capra classic Meet John Doe with Gary Cooper and earned her second Best Actress Oscar nomination. The 1940s would be the apex of Barbara Stanwyck’s movie career and included her crowning performance, femme fatale Phyllis Dietrichson in Billy Wilder’s film noir supreme, Double Indemnity (1944). Stanwyck garnered her third Best Actress nod for the role. 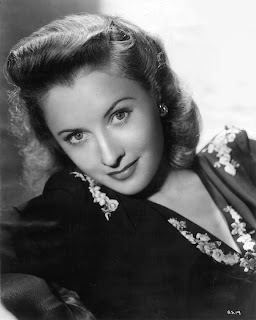 The decade contained several more popular Stanwyck films: Christmas in Connecticut (1945), The Strange Love of Martha Ivers (1946), The Two Mrs. Carrolls (1947), B.F.’s Daughter (1948) and Sorry, Wrong Number (1948), for which she received her final Best Actress nomination. It was at around this time that Stanwyck's marriage to Robert Taylor began to fall apart. Taylor had been dallying with some of the celebrated beauties of the time, Lana Turner and Ava Gardner, along with others of less stature, such as the bit actress on Quo Vadis (1951) who created a scandal when she went public with their affair. When Stanwyck gave Taylor an ultimatum he resisted and the pair soon divorced. Stanwyck never remarried but continued, as she always had, to work hard. She went on to make several more popular films and starred on television in series and mini-series into the mid-1980s. She was awarded an honorary Academy Award in 1982 for her career achievements. 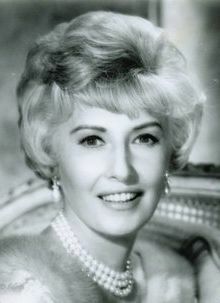 Barbara Stanwyck died in 1990. My favorite actress from the classic period, along with Joan Blondell. Stanwyck could do it all whether it was victim or seductress, dramatic or comedic. great actress...I knew a lot about her growing up, as she was about the same age as my parents (both born 1908)...thru them, I received an early exposure to the classics!! Ironically, my first memory of her is from THE BIG VALLEY TV series, in which she was billed last as "Miss Barbara Stanwyck." She was also quite good in the first part of THE THORN BIRDS, a performance that gets lost among her classic film roles. One of my favorite actress. This past year I have really become to know more about her and her films. I highly recommend, The Barbara Stanwyck DVD Collection. I wanted to add this in my original post but I forgot. Anyway, this is a list of my top 15 favorite Stanwyck films, not necessarily her best, though in some cases this it's also true. DOUBLE INDMENITY is absolutely (IMO) her greatest film, and one of my own all time favorites. So good to see such positive reactions to "Miss Barbara Stanwyck." ..the first film I remember seeing her in is "Lady of Burlesque" - on TV as a child - don't remember what I thought then, but I never forgot it...John, your list of favorites reminded me of one film that is also a favorite, "Remember the Night"...neglected to mention it in my post. Wish you all could attend Noir City 9! Last night I happened to run across Steve Martin's "Dead Men Wear Plaid", which is a humorous, absurd (technically accomplished) take on classic film noir. Throughout the film Martin is interacting, through clips, with the great stars of noir: Bogart, Alan Ladd, Cagney ("White Heat"), Ava Gardner, Burt Lancaster, Lana Turner, etc. These are all classic, unique film personalities, but Barbara Stanwyck is the only star that's used twice: scenes from both "Double Indemity" and "Sorry, Wrong Number". Martin actually goes so far as to dress up like Stanwyck's femme fatale in "Double Indemity" and, through the miracle of editing, kiss Fred MacMurray. Stanwyck was a burning presence on the screen and deserves all the attention she gets. Since she lived to 1990, I have to wonder what she thought of Steve Martin's parody. Stanwyck seemed to have a healthy sense of humor so she might have gotten a laugh or two out of the whole send up. She's one of my all time favorites. You chose your namesake well, Ms Eve - another great character from widely varied performances and a legendary career.